Wind turbines pose a significant risk to migrating bats. The bats are attracted to wind turbines as roosting locations and are frequently killed when they make contact with moving turbine blades. Wind turbine operator AES Wind Generation was keen to help reduce the impact of its turbines on bat populations. 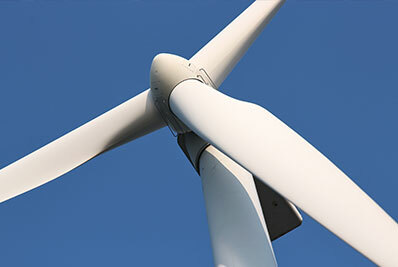 Normally wind turbine blades are allowed to rotate at slow speed even when RPMs are not sufficient to generate electricity. At these slow speeds the blades still pose a risk to bats. Industry experts and scientists agreed that one of the easiest ways to reduce bat fatalities was to stop blade rotation during times of low wind speed. Since calm nights are prime time for bat movements it makes sense to shut the turbine down at this time. The turbine manufacturer’s SCADA system did not provide a means for the turbine blades to be shut down automatically based on the specific climatic conditions favourable to bat migration. Likewise, the existing system had no means to collect data on the impact of the turbine shutdown on electricity generation and other metrics. A flexible HMI solution was needed that could augment the existing SCADA setup and provide feedback and alarming capabilities. In addition, the solution had to log data relating to the turbine shutdown and start-up process. Matrikon Calculator – an OPC-Based PLC program. This project was implemented by engineers at AES’s Elkins, West Virginia site with minimal assistance from the staff at OAS. Lead integrator Greg Howard had used OAS previously on a variety of projects. The OAS-based solution provided AES Wind Generation a complete software solution and no additional hardware was required. The OAS-based system is flexible enough to easily integrate new parameters for wind turbine shut down and start up, such as relative humidity or rainfall intensity. This is a vital capability as the science behind bat migration continues to evolve. The reporting capabilities are also designed to meet regulatory reporting requirements now and into the future. With OAS, AES Wind Generation has leveraged automation to reduce the impact of operations on migrating bats while keeping lost production to a minimum.